The Defence Department is taking steps to tackle piracy, and intends re-opening a former naval base on Salisbury Island, the Minister of Defence and Military Veterans Lindiwe Sisulu said today. Sisulu told a media briefing in Parliament that the Durban base had been downgraded to a naval station to save costs and operations moved to Simon’s Town, near Cape Town [in 2002]. However, the adoption of a strategy by the government to tackle piracy in its surrounding waters necessitated the re-opening of the base, she said. 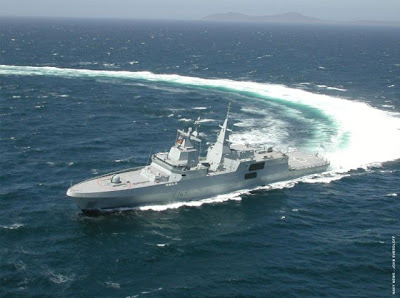 At present just one frigate at a time had been deployed on anti-piracy patrol to Pemba in northern Mozambique and was supported by a number of helicopters on board the frigate as well as by ground troops. South Africa has also signed a pact with Tanzania and Mozambique on maritime security co-operation, which would see the three countries working together to secure their respective territorial waters. Sisulu said figures from two years ago by the International Maritime Bureau revealed that the cost of piracy was between US$7 billion and $12 billion a year. Added to this, there had been 17 acts of piracy in Tanzanian waters last year. She said the sea was very important for trade as 91% of goods traded between African countries were transported by sea, while the continent had 44 refineries in 25 countries. This made it essential for African countries to police the continent’s waters, she said. The South African Maritime Strategy - which was adopted by Cabinet last year - is being piloted by South Africa, Tanzania and Mozambique, and Sisuslu said the deployment of the Isandlwana was more of a deterrent than anything else. She said the department would be requesting that at least two percent of GDP be allocated to defence spending. The Minister of International Relations and Co-operation, Maite Nkoana-Mashabane, said that to deal with piracy it was important to tackle the political problems on the ground. Nkoana-Mashabane attended a meeting in London on Thursday, hosted by AU security-council members, on how to work together with Somalis to return the country to normalcy. Durban is approximately 1700 nautical miles south of Mombasa, Kenya, near the Somali border, or about 2200 nm from Mogudishu, Somalia.